Description: A conference room in Castleford Civic Centre, Ferrybridge Road, Castleford, prior to its opening by the Duchess of Kent on the 14th March 1970. 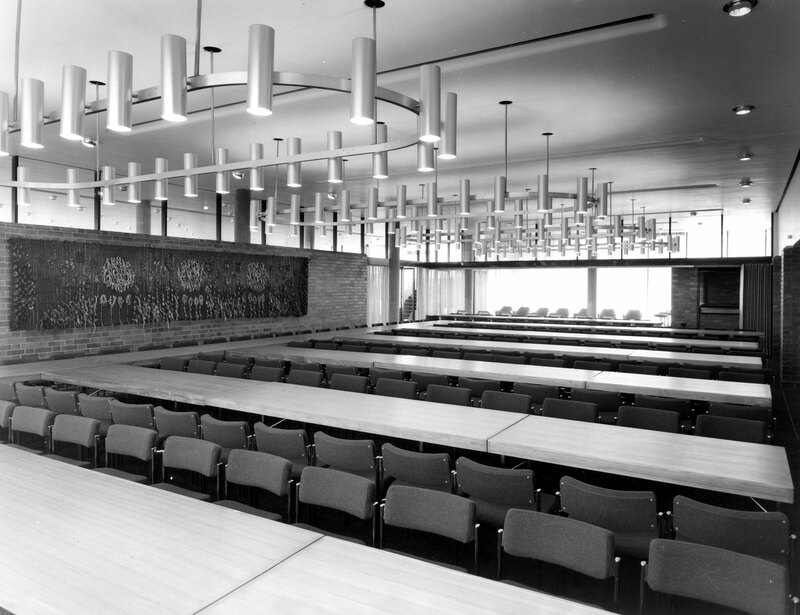 Room-width tables with chairs stand in rows, pointing toward a picture made of wool. Modern style electric lights hang from the ceiling, and a screen can be seen folded up to the right, which could be used to divide the room. Steps leading to the assembly hall are visible through the door.